Parasitic infections remain a significant cause of morbidity and mortality in the world today. Often endemic in developing countries many parasitic diseases are neglected in terms of research funding and much remains to be understood about parasites and the interactions they have with the immune system. This book examines current knowledge about immune responses to parasitic infections affecting humans, including interactions that occur during co-infections, and how immune responses may be manipulated to develop therapeutic interventions against parasitic infection. For easy reference, the most commonly studied parasites are examined in individual chapters written by investigators at the forefront of their field. An overview of the immune system, as well as introductions to protozoan and helminth parasites, is included to guide background reading. A historical perspective of the field of immunoparasitology acknowledges the contributions of investigators who have been instrumental in developing this field of research. 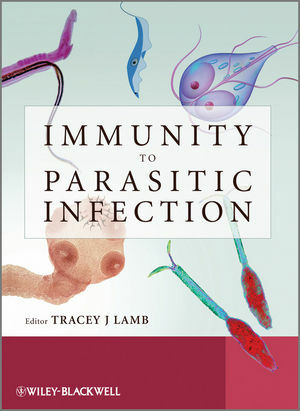 Tracey Lamb is the editor of Immunity to Parasitic Infection, published by Wiley.